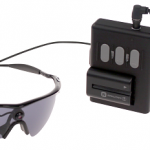 The Argus II bionic eye is a retinal prosthesis that allows blind and visually impaired to partially recover sight. Developped and launched by the californian company Second Sight, it is sold on french market since 2011. French minister of Social Affairs and Health, Marisol Touraine, recently announced the full repayment of the epiretinal prosthesis Argus II. A decree published on August 14 in the « Journal Officiel» now provides full support from french Social Security to refund the retinal prosthesis Argus II, in the context of the « Innovation Package ». 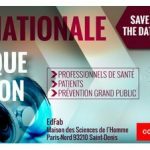 Launched by french minister Marisol Touraine, this initiative aims to support development and speed up the access to highly innovative technologies regarding health. Argus II is an innovative medical device that allows , through a microship placed in the bottom of the eye, to read letters or sentences, or to discern the outlines of objects. For now, the chip is made on one eye, controlling binocular vision is still too complex. Visually impaired patients selected by the High Authority will be able to benefit from the innovation package to get free access to Argus II during 5 years. 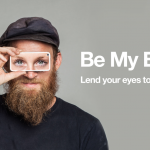 « We have standardized the healthcare circuit for retinitis pigmentosa using a tailor-made system for visually impaired patients », says Grégoire Cosendai, Vice-Président of Second Sight Europe. « More and more countries offer Argus II, and we are glad to set up the process in France too ». « The recent announcement of the Argus II’s financial cover made by the Ministry of Health indicates that retinal prosthesis are nowadays moving from the stage of investigation and hope to a concrete medical reality », adds Pr. Korobelnik, Head of the Department of Ophtalmology of the University Hospital of Bordeaux.